HMH Books for Young Readers, 9780544785861, 32pp. The seasons are changing and winter is closing in. George has toys for warm weather and toys for snowy weather—but what’s a monkey to do when winter days are just plain cold? When he decides to ignore the weather and play with his wading pool and bubbles, George learns some interesting things about weather, temperature, and freezing and melting. 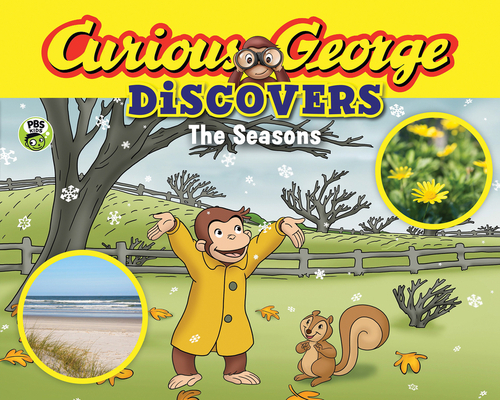 Learn all about the four seasons with your favorite monkey! Based on the Emmy-winning PBS show, this story is filled to the brim with additional facts, real photos, experiments, activities, and more. Learning about science has never been so much fun!